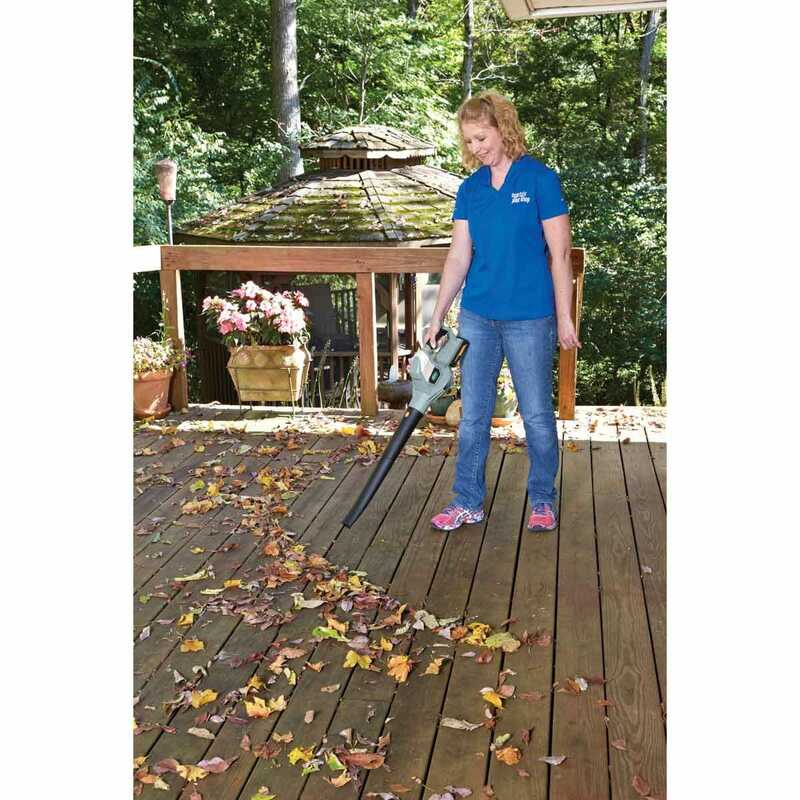 Avoid the exhaust fumes and pick up this rechargeable, Scotts Lithium battery-operated Blower. 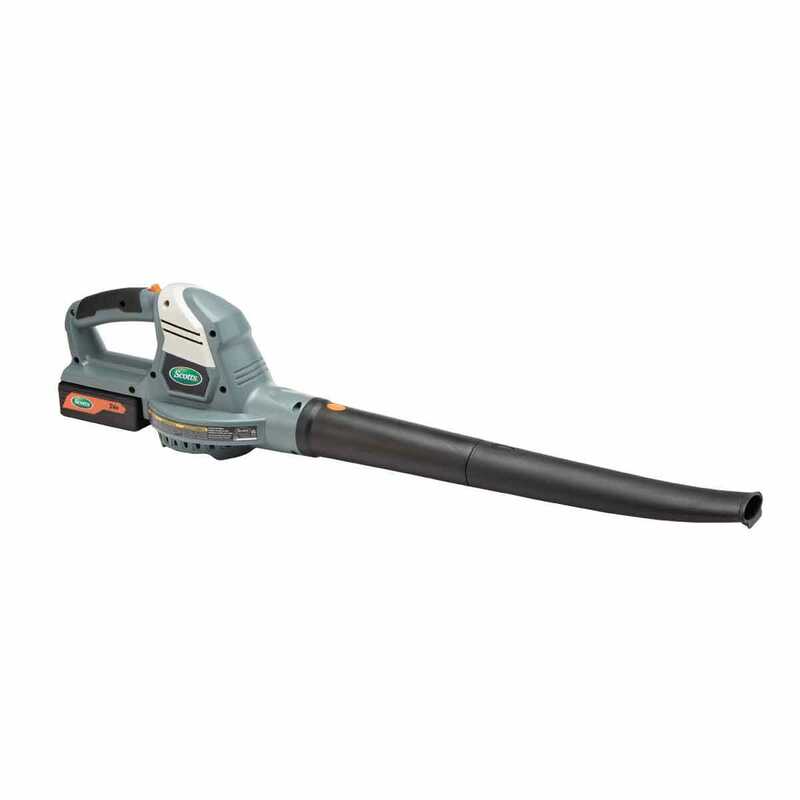 Lightweight Cordless Blower has a snap-on 20" tube that directs airflow and reaches isolated spots. Operates at up to 130 mph to move debris with little effort. 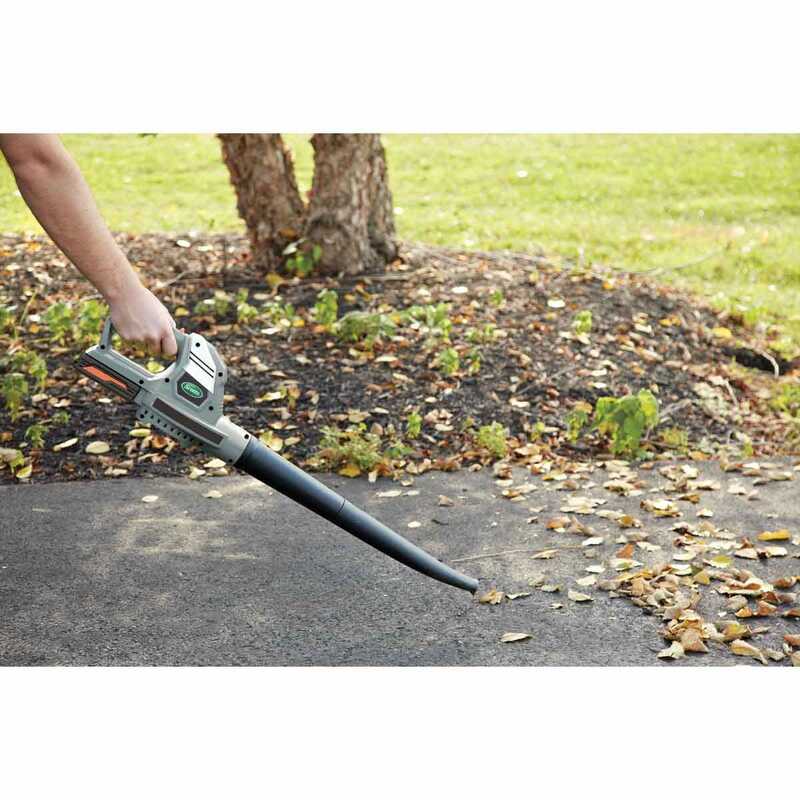 Ideal for blowing leaves off your deck or patio, and grass clippings off of your driveway and sidewalk. Rubber grip is easy on the hands. 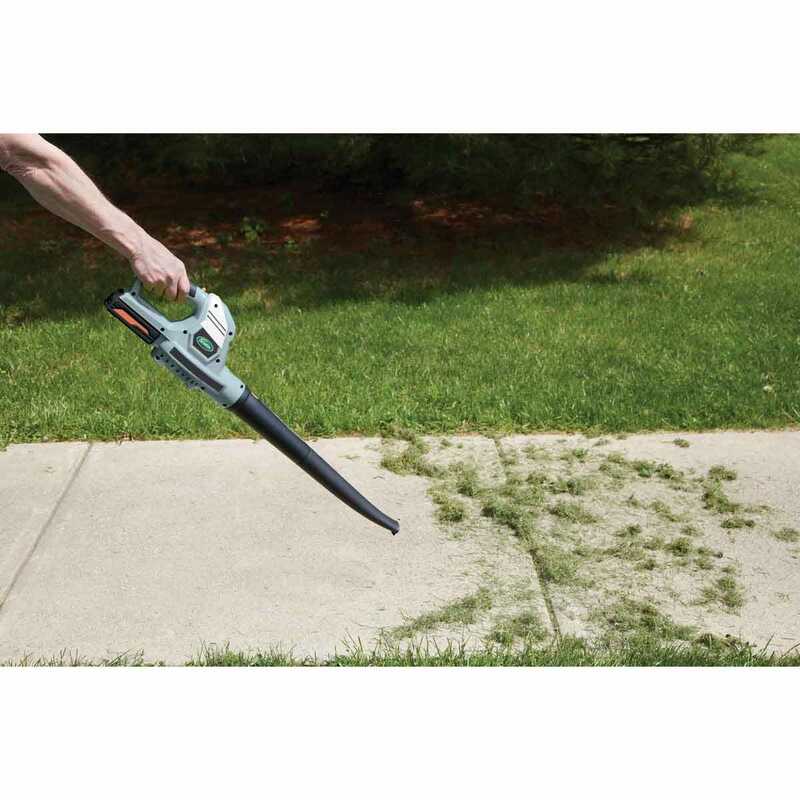 Includes rechargeable 24v lithium battery pack and fast, one-hour charger. Battery lasts 15-25 minutes on a full charge. Measures about 33"l x 6 1/2"w x 8"h and weighs about 5 lb.